Baseball Excellence presents an UPGRADED and NEW! All the drills and checklists from the early Practice Planners plus a section on catching, evaluating players, and even a new Skills Checklist. Over 50 photos, graphics and tables. For Youth baseball. (60' Base paths. )A perfect companion for any Baseball Coach. UPGRADED and NEW! All the drills and checklists from the early Practice Planners plus a section on catching, evaluating players, and even a new Skills Checklist. Over 50 photos, graphics and tables. For Youth baseball. (60' Base paths. )A perfect companion for any Baseball Coach. From the pre-practice routine to checklists for hitting and pitching, defensive and conditioning drills to graphics and a timed practice schedule, the Advanced Coaches Practice Planner will help any coach develop quality players. The Practice Planner is designed to teach baseball skills, improve performance, help guard against injury and keep it interesting and challenging for the players. Sent via email as an attachment. (Large file. Make sure you submit a valid email address. )Emailed within 24 hours. Your Acrobat reader should be 5.0 or higher. NOW! 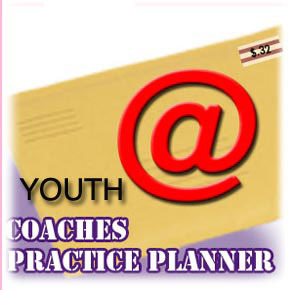 The Practice Planner now includes the Practice Planner Companion- a great addition. The Companion provides the basic building blocks to teach the most common baseball skills along with the approximate time to spend on each component.